Measure your leg height and mark the boards with a square. 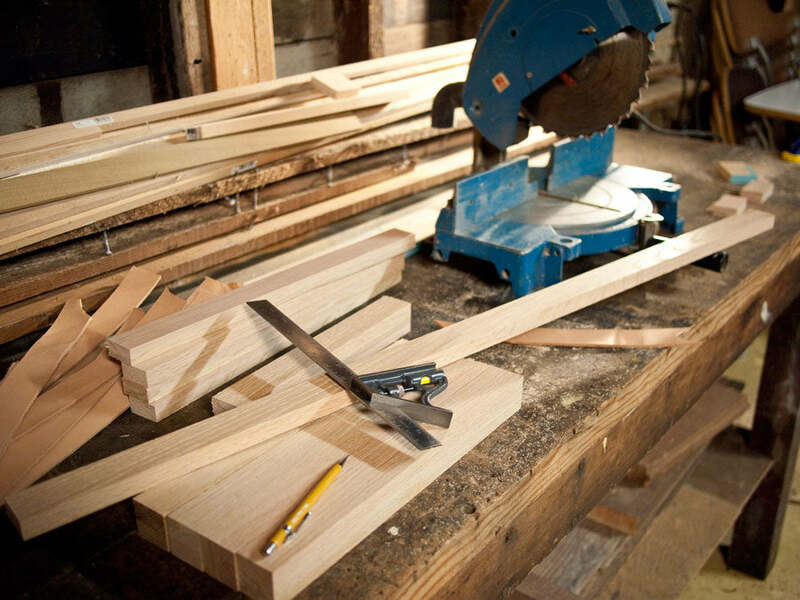 Perfectly square cuts will ensure you don't create a wobbly bench. I cut mine for a fifteen inch height. Next cut all your stinger boards. 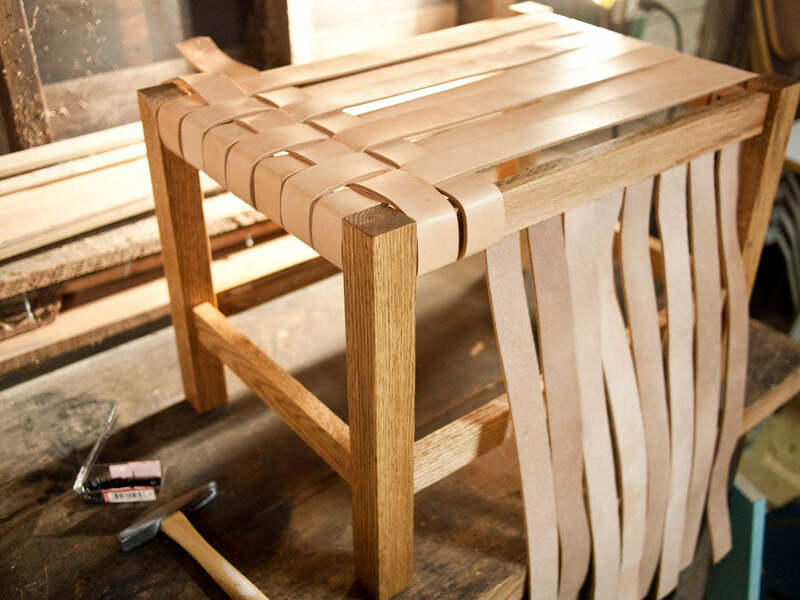 To make a rectangular bench, I cut four eighteen inches in length and four at twelve inches. Next, I drilled all my pocket screw guide holes. You can find an inexpensive pocket guide at most hardware stores. I use a Kreg model. Clamp it to the board and drill all your holes. After all boards are cut and drilled, sand them to a smooth finish. It's much easier to sand now than after it's assembled. 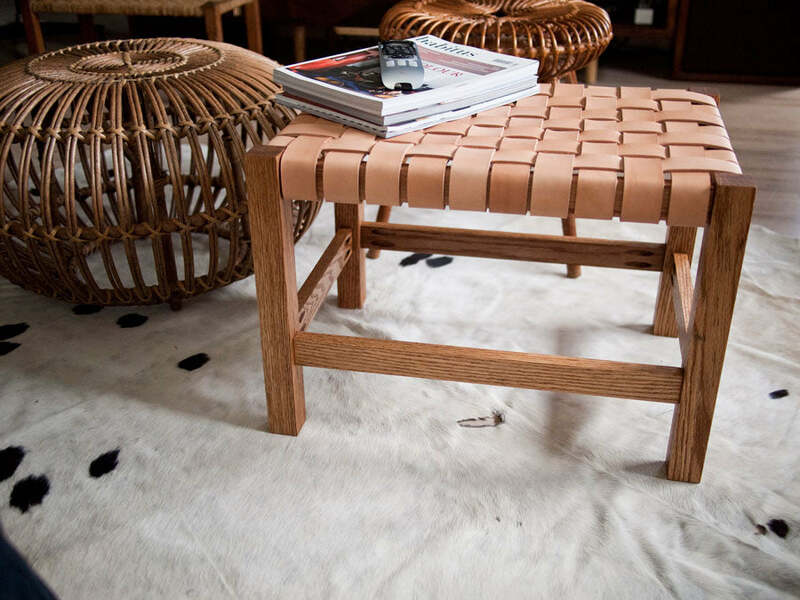 Sanding to at least a 220 grit will give you a furniture-grade surface. Now it's time to assemble. I cut a couple 3/8 pieces of scrap board to help position the stringers in the center of the leg pieces before attaching. I also used some scraps to uniformly space the lower stringers from the top. 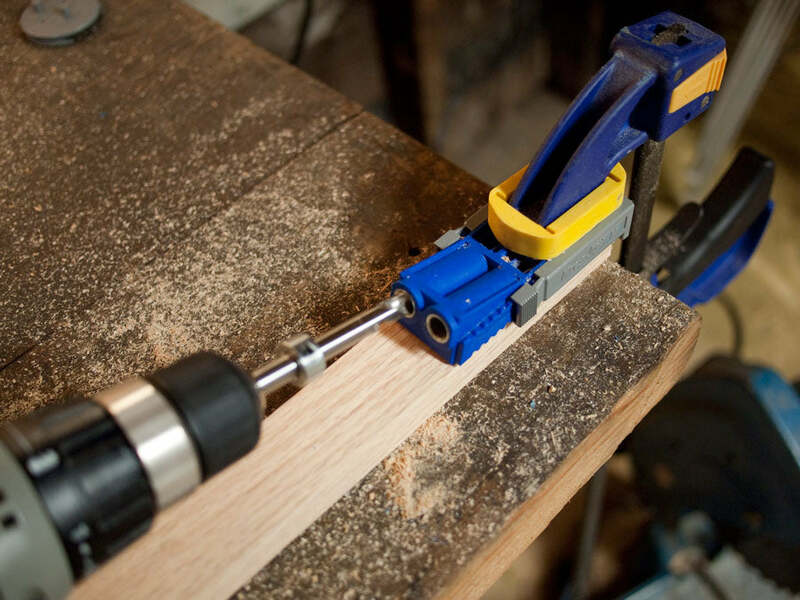 A complete side can positioned on your work surface before driving all the screws. Assemble both complete ends and then attach the two with your remaining stringer boards. 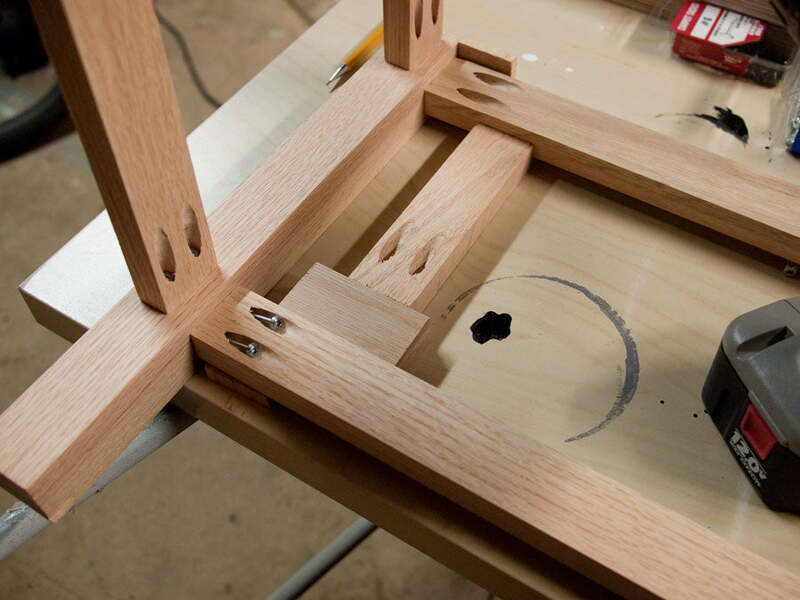 Once you have your complete frame, time to apply finish. I love using danish oil because it's so easy to apply for a beautiful finish. Follow the instructions on the can and make sure it's completely dry before adding your straps. I had a bunch of short leather 1 1/2 inch straps from a previous project, so it was the perfect choice for the woven top. Otherwise you can use seatbelt webbing or upholstery straps. Cut your straps long enough to wrap completely around your boards. Using a tack hammer, I attached all the long pieces first and then weaved the remaining ones in and attached one by one. Because the leather straps were such thick material, its necessary to have gaps between them so they can be woven. The thinner your strap material, the closer they can be woven. I chose to leave the leather natural and used light walnut colored Danish oil -but any number of stains, finishes or waxes can be used to create yours.